Will Spring put the flowers back? Love Bug and I were talking about seasons over the weekend. As the countdown to Spring is on, we had a weekend of cold drizzly rain one day, overcast skies which cleared to lovely sunshine another. She asked me if Spring was coming soon. 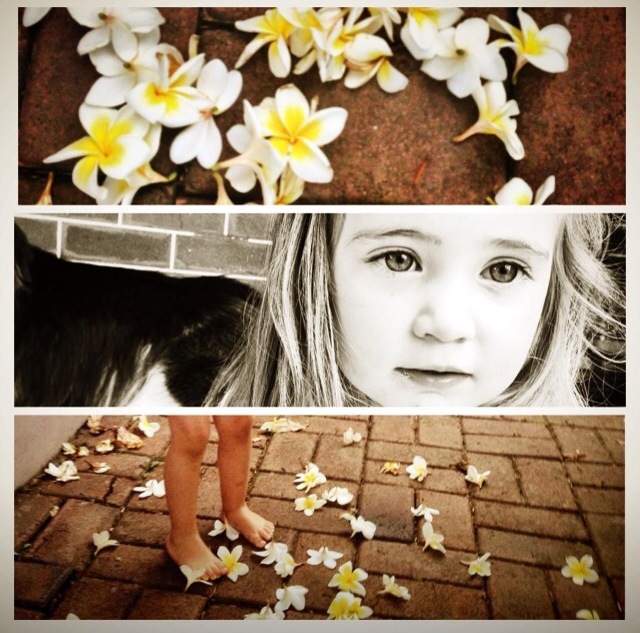 Mumma, when Spring does come, will it put the frangipani flowers back on our tree? Yes Love Bug, they will start to grow in Spring. Oh good mumma. I love our frangipanis. I’m glad Spring will put them back. Previous Post Diet … or upsize?